B&B Vista Los Volcanes is located in the province of Heredia, Costa Rica, in the beautiful little village of San Lorenzo de Flores, just 15 minutes from the international airport of San Jose. B&B Vista Los Volcanes offers a family atmosphere and is conveniently desingned with all the amenities for tourists and Families... a safe and quiet place to rest. We have 2 fully equipped apartments , one Villa and 5 additional comfortable and spacious rooms with all amenities for a pleasant stay. From our terrace you can enjoy a beautiful view of Barva and Poas volcanoes. 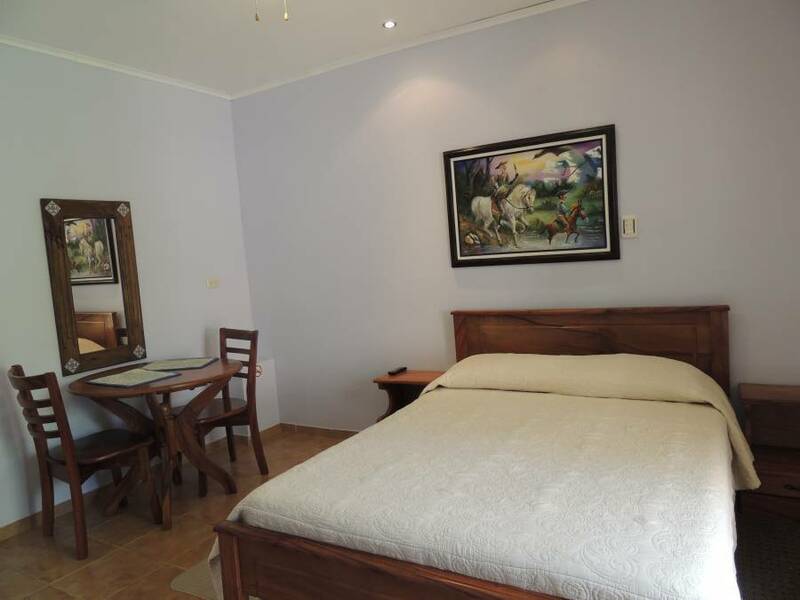 You will feel comfortable in our modern B&B that has a family atmosphere and is conveniently located so you can enjoy some of the most popular tourist destinations which include: volcanoes, national parks and some of the most beatiful tropical forest in the world. We offer free internet (wi fi), laundry service, a delicious Costa Rican breakfast, tours and the opportunity to study Spanish at the Centro Panamericano de Idiomas close to the B & B . Also we offer airport shuttle service. Come and make your stay in Costa Rica an unforgettable experience. We have 2 fully equipped apartments and 5 additional comfortable and spacious rooms with all amenities for a pleasant stay. From our terrace you can enjoy a beautiful view of Barva and Poas volcanoes. Single, and double rooms and we have 2 fully equipped apartments and 5 additional comfortable and spacious rooms with all amenities for a pleasant stay. Ceiling fan, private bathroom, hot shower, TV (cable), Wi Fi, duoble beds and 1 table for 2 people. B&B Vista Los Volcanes is located in the beautiful little village of San Lorenzo de Flores, Heredia. 15 minutes from the SJO international airport. All cancelations must be made within a minimum of 24 hours before the expected arrival time. A full refund will be applied if the guest cancels their reservations at least 48 hours in advance of their expected arrival time. All reservations cancelled less than 48 hours in advance will be charged a fee equal to 1 night stay.